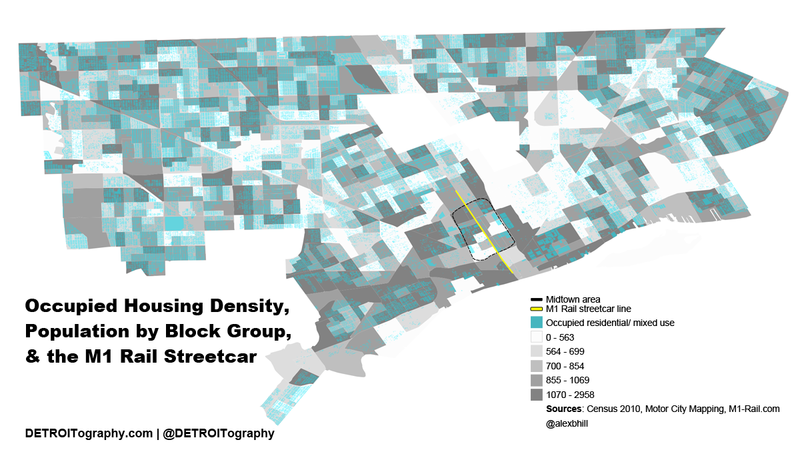 Map: Will the M1 Rail Streetcar Serve Detroit Residents? 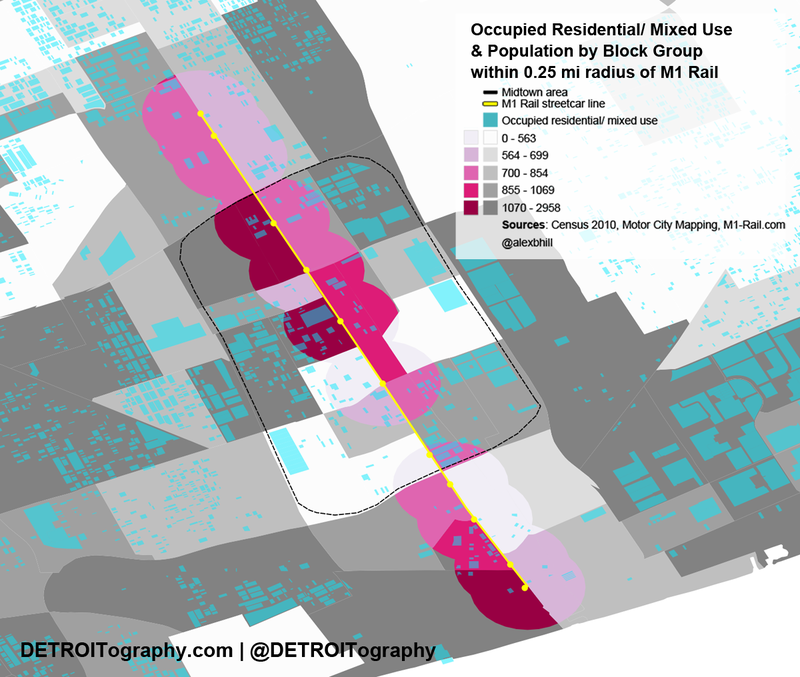 The impact of the M1 Rail 3.3 mile-long streetcar has been an ongoing debate and a number of community organizations have voiced concerns that the M1 Rail does little to serve actual residents of Detroit. The M1 Rail project essentially says the same thing. M1 Rail is looking to serve the “choice rider” to facilitate getting around Downtown and Midtown’s attractions. The private funders joined forces after seeing the failure of public transportation during the Super Bowl in 2006. It is safe to say that the M1 Rail was not conceived of as a transportation option for residents, but rather for visitors. The residential density along the M1 Rail is minimal at best compared to the rest of the city. 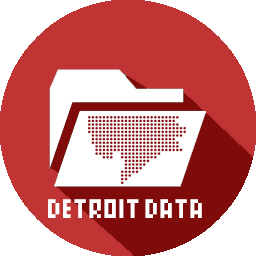 Utilizing data from the Motor City Mapping project and employing a quarter (0.25) mile “walkable” buffer you can easily demonstrate the low number of Detroit residents served by the M1 Rail. The project site mentions serving 36,000 residents (5% of population based on Census 2010), however that seems like a generous estimation based on the locations of occupied residential and mixed properties located in the 0.25 mile radius of the M1 Rail stations. Just imagine if the streetcar line added just one or two more stops in the Northend, look at all those occupied residential properties that would have gained another transit option. There are hopes for future expansion of the M1 Rail that reaches to the full 9 miles to the 8 Mile Rd. border, but that is up to the new Regional Transportation Authority (RTA) to spearhead. There are also hopes for increased development and new density along the streetcar line. The M1 Rail project often mentions Dallas, Minneapolis, Seattle, Portland, and Salt Lake City all operating with modern streetcar systems – yet they fail to realize that these project were successful because of the existing density where the streetcar lines were built. I have no doubt that more private money will ensure the M1 Rail is “successful,” it is just unfortunate to watch the failure of future planning and the lack of true support for public transportation systems that benefit Detroit residents.